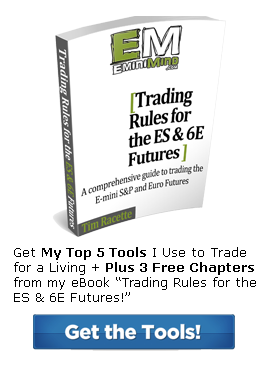 The CME Group plans to launch Micro E-mini Futures contracts for trading in May of 2019. It’s no surprise that the four markets available for trading will be the S&P 500, Nasdaq 100, Russell 2000, and the Dow. 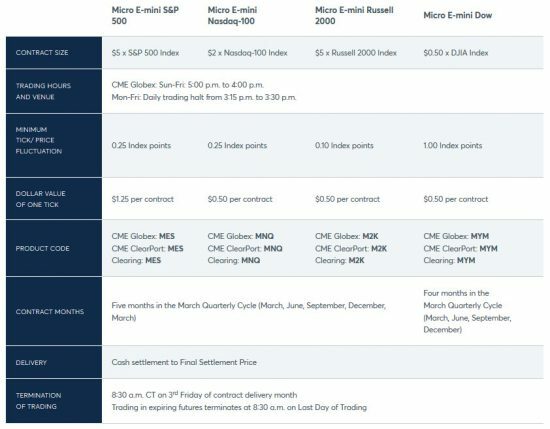 The new Micro-Emini contracts will be 1/10 the size of their respective equity indexes and will begin trading in May of 2019. The benefits of having a smaller multiplier are the ability to scale out. For example a trader who might only be trading 1 ES contract can now trade 10 Micro ES contracts with the same buying power effect and then be able to exit at multiple profit targets, trailing a stop and staying in winning trades longer. 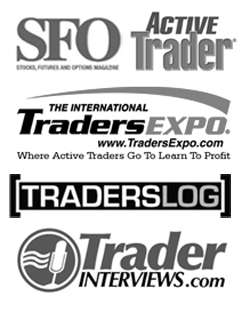 Now, I would not suggest turning to these new Micro contracts just because you have a small account. The same emotional challenges will exist. There will also be undoubtedly less volume so the potential for slippage. I don’t really see big trades choosing to trade 1,000 Micro contracts instead of 100 of the bigger ES contracts, but we’ll see how things unfold. * My charting platform thinkorswim® powered by TDAmeritrade has not specified the margin requirements to trade these new Micro E-mini contracts yet.